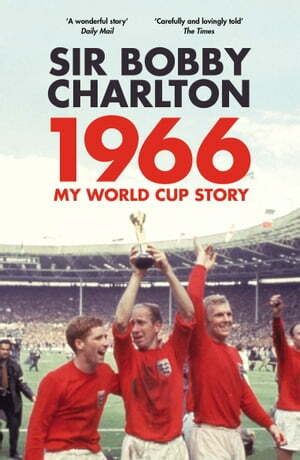 Collins Booksellers - 1966 by Bobby Charlton, 9781473545540. Buy this book online. Wembley, 1966. England wins the World Cup to roars of a euphoric home crowd. Sir Bobby Charlton, England’s greatest ever player, was there on the pitch. Now, half a century on, he looks back on the most glorious moment of his life and England's greatest sporting achievement. In 1966, he takes us through the build-up to the tournament and to the final itself - what he saw, what he heard, what he felt. He tells us what it was like to be part of Sir Alf Ramsey’s team, his memories of his teammates, the matches, the atmosphere; the emotion of being carried on the wave of a nation’s euphoria and how it felt to go toe-to-toe with some of the foremost footballers to ever play the game. His life has been forever defined by a single moment: one day when a man stood side-by-side with his best friends, united in a single aim in front of a watching nation. This is his story.